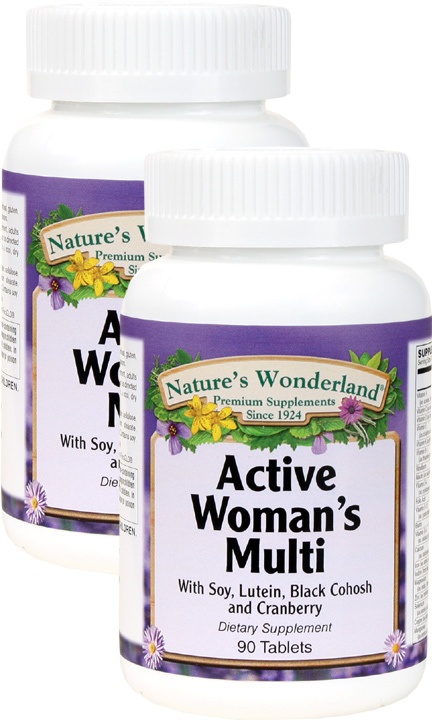 Active Woman Multivitamin, 90 Tablets each (Nature's Wonderland) - Penn Herb Co. Ltd. 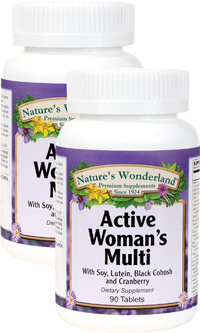 Nature's Wonderland Active Women's Multivitamin works just as hard as you do! It's formulated with all the essential vitamins and minerals women need PLUS supporting herbs and nutrients such as Soy, Lutein, Black Cohosh and Cranberry. Active Women's Multi Helps You Power Through Your Day! As a dietary supplement, adults take 3 tablets daily with meals, or as directed by a health care professional.